A one-bedroom, ground-floor unit at the Cote D’Azur condominium in District 15 is on the market for $1.28 million ($999 psf). The seller is a foreigner who purchased the unit for $1.65 million ($1,288 psf) in 2013. He was residing in Singapore until 2014 but has retired to his home country. 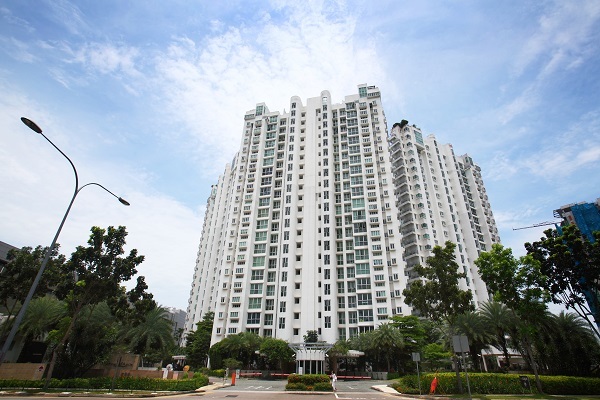 He is selling the unit because he does not want to maintain an overseas property, says marketing agent Julin Tan, senior associate director at Orange Tee & Tie. The one-bedroom unit has a floor area of 1,281 sq ft and is currently tenanted, with the lease expiring at end-August. The monthly rent is $3,000, which translates into an annual rental yield of 2.81%, based on the asking price. This year, recent rental contracts at Cote D’Azur for units of 800 to 1,000 sq ft have ranged from $2,200 to $3,600 a month. So far this year, nine units have changed hands at Cote D’Azur, at an average price of $1,228 psf. When the development was launched in 2002, units were sold at an average price of $597 psf. Cote D’Azur is a 612-unit, 99-year leasehold development by Frasers Property that was completed in 2004. The project, which is located next to the Parkway Parade shopping centre, will benefit from its proximity to the new Marine Parade MRT station on the Thomson-East Coast Line scheduled to open in 2023.